For well over one hundred years, Local 292 has provided fair contracts, great employment opportunities, and a fantastic education program for its Members, as well as many other benefits that you will not find anywhere else. If you are currently working for an employer that does not offer the benefits you deserve, Local 292 is looking for members that can bring valued skills, as well as, an increased customer base to not only improve working conditions for all of our members, but continue to provide the highest level of service and quality for our customers. Please call the Local 292 office at (612) 379-1292 and talk with our Membership Developer. They will explain to you many options, from you personally becoming an IBEW Member, to how the entire workforce at your current place of employment can become a Union Shop and share in the benefits of Union Membership. Healthcare and pay that leads the industry. Industry mobility from contractor to contractor, using the hiring hall as a resource for the worker. Holiday and vacation pay is standard for every electrician, above and beyond the straight time pay. Training and continuing education for electricians at a reduced rate at the Minneapolis Electrical Training Center. Contact the JATC at 763-497-0072 or www.mplsjatc.org.  Contact IBEW 292 Organizing at 612-379-1292 (St. Cloud 320-253-1292). Contact IBEW 292 LEA Representatives at 612-379-1292. Contact the Statewide LEA JATC at 763-571-5922 or www.statewidelea.org.